Prior to the screening of Upstream Color, an older woman exiting from the previous showing of the film turned to the line waiting and declared “do not waste your money, the film is dumb”. She then turned back to her friend and left the cinema annoyed. Though the woman is entitled to her opinions, after viewing the film I could not help but think how vastly different our views on the film were. What she considered to be “dumb”, I found to be extremely rich and intelligent. The film offered an experience unlike anything I had encountered in some time. Similar to his mind-bending debut film Primer, writer/director Shane Carruth is out to once again push the limits of narrative with Upstream Color. The complicated plot revolves around Kris (Amy Seimetz), a woman who is drugged by a man only known in the film as Thief (Thiago Martins). Using special worms that are laced with a mysterious drug, Thief induces Kris into a hypnotized state where she must do his bidding. The Thief’s prime objective is to get Kris to empty her bank accounts and hand over all equity to him. Once this is done he disappears without Kris remembering his face or the fact that he was ever a part of her life. Due to the intricate nature of the process, Thief works with a man who is only referred to as The Sampler (Andrew Sensenig). The Sampler’s primary task is to perform surgical extractions of the worms, which continue to grow inside of Kris, and transplant them into a live pig. Since the worms carry characteristics of their former hosts into the pig, The Sampler keeps a close eye on all of the pigs who have endured the process on his farm. The Sampler also spends time recording various common sounds around town, which ultimately help in creating sound waves that play an important role in the process. Once the extraction is finished, Kris wakes up to find herself in her car parked alongside the highway. She soon realizes that her life is completely shattered as she is now broke and is fired over her lengthy disappearance. As she tries to put her life back together she meets and falls for Jeff (Carruth). One of the Thief’s many victims, Jeff lives out of hotels and struggles to save face as a disgraced financier. With each passing day the couple’s love grows stronger, and their memories become more blurred. Upstream Color is not your typical science fiction film. Instead of spelling everything out for the audience, it lets the viewer do the heavy lifting. This includes trying to figure out how the science in the world of the film works, especially in regards to “which came first the chicken or the egg?” style drug cycle the film employs. It does not help matters that Carruth deliberately leaves out key pieces to the film’s puzzle. Upstream Color is the type of film that is bound to divide audiences. There is a circular nature to how everything works in the film. For example, the drug that the Thief injects into the worms comes from rare blue orchids. The rare blue orchids are a direct result of the pigs who have been infected by the worms. This type of logic will cause many to scratch their heads, but the key is to remember that life itself is one revolving cycle. Things that happened in the past will ultimately happen again to someone else. Carruth really hits home the theme of starting over with numerous references Henry David Thoreau’s book Walden Or Live in the Woods and On the Duty of Civil Disobedience throughout the film. While not an easy film to decipher, everyone will walk away with their own interpretations of what it is trying to say, Upstream Color is an exceptional piece of filmmaking and narrative. The cinematography is lush and the sound editing is some of the best you will hear all year. The way the film incorporates sound is both inventive and fluid. 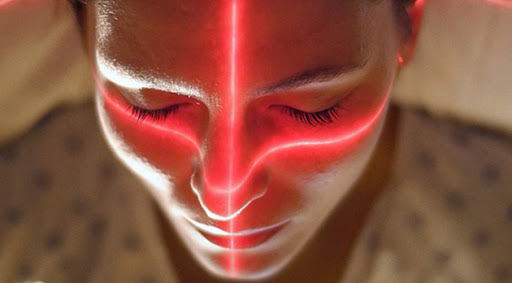 Despite the numerous themes that flow throughout Upstream Color, the film never feels excessive. Every single element in this film has a purpose and nothing is included simply for stylistic reasons. Shane Carruth has shown with his two feature films that he is one of the most forward thinking directors working in cinema today. He may never reach mainstream success by making films like Upstream Color, but that does not seem to bother him at all. Carruth is already building up a catalogue of films that will be analyzed, dissected, and discussed for years to come. 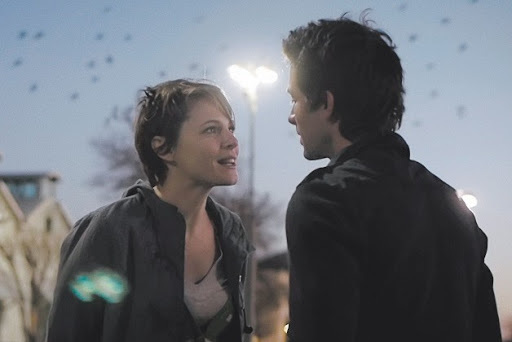 Upstream Color is a bold and captivating film that rivals the year’s best works. Rewatched Primer last week to prep for this. Cannot wait… gonna bookmark your review until I have a chance to see it! interesting. sounds intricate. i kinda wanna see this. I have been eager to re-watch Primer after seeing this film. As odd as it may sound, I found Upstream Color to be far easier to decipher than Primer. I would love to hear your thoughts on this film, if you end up seeing it. I think it would generate an interesting discussion on your podcast. I will definitely have to give that episode a listen when it is posted. As for the chicken-egg conundrum, I have contemplated it a lot since the screening. I would like to believe it evolved naturally. Man stumbled upon it and figured out how to turn it into profit. Granted my theory is partly based on The Sampler's seemingly natural abilities. Whereas the others had to use man made devices to reach his level. Needless to say we will be dissecting this film for several years to come. Looking forward to checking this out, really liked Primer so I'd be interested to see what this will be like. Carruth has really evolve as a director since Primer, he is building a rather strong canon of work.